An utterly essential purchase. 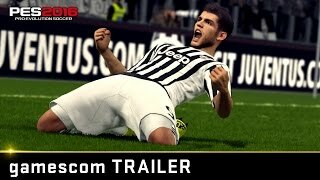 PES 2016 is the best there is, and the best there's been in a very long time. Hand on heart, I can’t remember ever being so consistently thrilled, surprised and delighted by a football game before. A new physics system allows Pro Evolution Soccer 2016 to feel and play more like its real-life counterpart. Although this change results in a lack of foul calls, it complements a fantastic game that delivers a great-feeling version of interactive soccer and builds upon what was the best soccer title ever made. Thanks to the smooth, physical gameplay, the amazing animations, and the various and strategic game modes, PES 16 is easily the best title in the franchise. To go one step further – PES 16 is likely one of the best sport games out today. The improved Master League mode is a godsend, adding substance to the package and complementing the excellent gameplay. With the advanced collision system, Konami has done in a year what EA has been trying to perfect since FIFA 12. The added physicality and increased number of animations has done wonders for the gameplay. The introduction of an excellent edit mode (see ‘edit it up’ for more details) to the PS4 version even makes the usual lack of licenses a relative non-issue. There's little worth in assessing soccer sims by the weight of their game modes, or indeed, the breadth of their official licenses. All that truly matters is what unfolds in those virtual ninety minutes, either against a friend, an online stranger, or the computer. On that test alone, PES 2016 represents the best game in the series since the PlayStation 2 era. 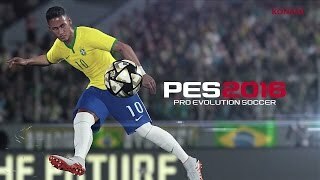 PES 2016, while not being perfect, feels true to its title - it's an evolution. Master League has been revamped and fine-tuned into an excellent mode that only suffers thanks to the lack of licenses, MyClub is growing well and differs enough from Ultimate Team, and the gameplay feels refined and balanced enough to make every game a challenge but not a chore. Thanks to all of these factors, PES 2016 currently feels like it's in a league of its own. PES 2016 trades authenticity for fun in most facets of its design, but it’s a decision that ultimately pays off. What you’ll get is a fast, tightly-designed football experience that isn’t matched yet anywhere else. EA needs to start taking some notes. PES 2016 is undoubtedly a great football game, as good as it’s been in years. Sure, it’s better on the pitch than PES 2015, but it’s let down somewhat by some cavalier keepers who couldn’t catch a cold. Хотя опередить EA Sports по части онлайновых сервисов и лицензий особых шансов все равно не было, PES 2016 обыграл FIFA там, где мог это сделать — на поле. Сейчас это лучший выбор для игры в локальный мультиплеер или с компьютером. Pro Evolution Soccer движется в правильном направлении и этом году способен порадовать не только поклонников серии, но и любителей футбола в целом. Pro Evolution Soccer времён PS2, только на новых технологиях. Жаль, что с контентом всё как всегда. Pro Evolution Soccer 16 обращается к собственному наследию — и сейчас это кажется единственно правильным решением, принятым Konami. В прошлом году PES вышел в один дивизион с FIFA, а в этом продолжает укреплять состав. У него есть свой стиль игры, своя физика, свои исполнители. Еще немного залатать дыры в обороне — и борьба пойдет на равных. Фанаты серии с 2008 года и люди, которым пришлась по душе PES 2015, будут довольны. Идиоты, которые будут играть во все, лишь бы не в ФИФУ — тоже. Если вы до сих пор не решились, стоит ли брать новую PES, настоятельно рекомендуем вам закрыть глаза на красочные скриншоты в магазине и загрузить демо-версию. Просто сразиться со знающими, как держать геймпад, друзьями или провести сезон-другой с компьютером — в этом равных Pro Evolution Soccer всё ещё нет. Но со всеми остальными компонентами, обеспечивающими глубокое погружение и разнообразие, а также создающими сообщество, в Konami справились примерно так же, как наш министр спорта справляется с интервью на английском языке.